The Military and the Monarchy Book Signing! The Military and the Monarchy book signing went off without a hitch! Kevin W. Farrell showed up just in time to meet and discuss his book with some eager followers. As soon as he sat down students surrounded his table waiting to get their book signed. Many people purchased their first copy that day through the University Press. It was wonderful to see Colonel Farrell interact with the students and his readers. It’s obvious that he is passionate about the British army and monarchy, and it seems that passion is spreading! For the Q&A with Colonel Farrell click here. This past weekend was the Dahlonega Literary Festival and the New Directions Conference. During this weekend many talented authors and publishers came to Dahlonega to speak and share their experience. One of these authors was Sonya Huber, who wrote Opa Nobody, Cover Me: A Health Insurance Memoir, and The Backwards Research Guide for Writers, is published in many esteemed journals, and is an assistant professor of English at Fairfield University in Farfield, Connecticut. 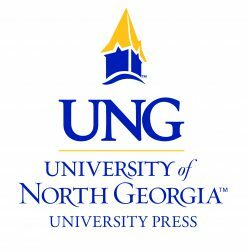 Last Thursday, November 10, Huber spoke on the North Georgia Campus at the Gloria Shott Auditorium, which was busting at the seams with eager students and readers wanting to know more about her and her book. I arrived about fifteen minutes early to find the auditorium already filling up. I figured that some more students would come filing in over the next couple minutes, and that the auditorium would end up being about half full. I assumed that most of the students there were in attendance because of extra credit points promised to them by their teachers. I was entirely mistaken. Students started to pour through the doors eagerly awaiting Huber’s discussion. Some of them had even brought their own copies of Opa Nobody and shyly made their way up to Huber to get her signature. Even when Huber began her speech people were still trying to make it through the doors which were blocked by other on-lookers. Once Huber started to talk, however, it was easy to see why she had such an eager and attentive audience. As she spoke about her book it became apparent that she revealed much of herself in it. She was real and transparent with her readers and audience which made it easy to connect with her. She spoke of her grandfather who had lived in Germany before, during, and after the Nazi regime. Her grandfather was part of an anti-Nazi socialist movement in Germany, and he also held a position in a political office. This put him and his family at high risk during very dangerous times. Her main focus through-out the book, however, was her grandfather’s balance between his political and social life and his private life with his family. She also tried to discover through the book what her relationship with her grandfather looked like even though he had already passed away. Opa Nobody is a deeply personal memoir taking shape from a very personal author. There is no question that Huber will continue to grow in success and will continue to touch lives. Look out for her new projects about Buddhism, substance abuse, and social class. This is definitely an author you will want to keep an eye on. Inspiration is in the air! The upcoming Literary Festival and New Directions Conference may get you students itching to get out the pad and pen. If that’s the case then think about submitting the finished product to Papers and Pubs. Papers and Pubs is a southeastern interdisciplinary journal of undergraduate research. It promotes student learning by disseminating undergraduate research and creative works that make an intellectual or creative contribution to the discipline or to applied practice. That means that any undergraduate in any field of study can submit their work to Papers and Pubs to be published!This is a great opportunity to get experience in the publishing field, and it helps to get your work out in the public. Get published and get recognized! The deadline isn’t until January 9, 2012 so get to work and get published! For more information click here. It’s that festive time of year again that makes you think about… books! That’s right the Dahlonega Literary Festival is coming up quick. This is the eighth year for the festival but the first year that it will be held in conjunction with the New Directions Conference. The Literary Festival was started in 2004 by Kate Quigley McElliott to celebrate books, writers, literacy, storytelling, and literary performance art. In the past they have had plenty of authors and interesting subjects and this year will continue that theme. There will be many talented writers including Terry Kay, an award winning novelist from Hart County, Georgia, that will speak on an array of interesting subjects. Some topics include: Funnybones: The Use of Humor in Fiction and Non-fiction, Flights of Fancy: 21st Century Fantasy, and Truth is Sometimes Stranger than Fiction: Non-fiction for Everyone. Even the Holly Theater is getting in on the action by hosting An Evening with Mark Twain, where Kurt H. Sutton pleases audiences with Mark Twain’s hilarious witticisms, wisdom and love for music via the harmonica, guitar, and banjo. The Dahlonega Literary Festival will be held on the historic Dahlonega square on November 12th and 13th. It is free and open to the public. The New Directions Conference, however, does require registration. The Conference will mainly focus on the change in the publishing world from print to digital publishing. The Conference will also have talented key note speakers including: Dr. Robert Williams, the founder of the Bentley Rare Book Gallery, Sonya Huber, an author of creative non-fiction, and Ahmad Meradji, President and CEO of BookLogix Publishing Services. The New Directions Conference will take place on November 10th and 11th on the North Georgia College and State University campus and on Dahlonega’s historic square. So break out your books and come on down to the Dahlonega Literary Festival and New Directions Conference! The Military and the Monarchy: The Case and Career of the Duke of Cambridge in an Age of Reform by Kevin W. Farrell is now available for purchase! The book follows Prince George, 2nd Duke of Cambridge, through his military career and though him explores the changing relationship between the Military and the British Monarchy during the Victorian Era. It is a must have for any scholar of British History. The Military and the Monarchy should be available soon for purchase through amazon.com, bn.com, and other online retailers. Another announcement will be made when this book is available online! My grandfather was a master story teller. One of his favorites was the story of Grey Toe. He told it to us grandchildren many times, and when I was really young, it scared me to pieces. Since then, I’ve seen the story adapted into a collection of short stories, Scary Stories to tell in the Dark, Collected and retold by Alvin Schwartz. The story is “The Big Toe” and it is the first one of the collection. I, myself, have retold the story of Grey Toe numerous times, each time, making sure I grab the entranced listener at just the right time to produce that extra element of spookiness that I learned from my grandfather. I owe my love of ghost and other scary stories to both my grandparents on my mother’s side. When we went camping once with my grandmother, we were gathered around the campfire (like you should be for any ghost story). She told of a ghost dog that would visit her at night when she was visiting a certain relative. It would sit at the end of her bed and guard her through the night. She could feel its presence and even see it, but when she went to pet it, her hand passed right through the form of the black dog. My Grandmother was never one to lie. I believed her, and still believe. I don’t get to listen to my grandparents’ stories anymore. They both passed away several years ago, but the legacy lives on. I love my ghost stories and indulge in them often. Everytime I go on a vacation, I try to look for a book on local ghost stories, especially if I’m in the South or in Appalachia. With the autumn season upon us, and Halloween quickly approaching, feelings of change and mystery fill our heads. Come October 31st, everything may not quite be as it seems to the innocent eye. With the growing anticipation of that final day of October, traditions of carving an evil face into a pumpkin, eating an apple covered in caramel, and planning a costume for a fall party will soon commence. With these social ties also comes a love for a popular genre of literature. Ghostly myths and legends are some of the most powerful styles of stories, and due to their influence on the imagination they have the ability to be appreciated generation after generation for their fantastical qualities. The tradition of sitting around a camp fire on a dark night, and taking turns sharing ghost stories with friends is a memory that many individuals can say they have experienced. Whether you frighten your audience or not, the reciprocal gift that comes as a result of a good rendition of a ghostly tale will always keep the love alive for a supernatural story. One of the most notable and enjoyable features of a quality ghost story is its tendency to change and be open completely. “The Legend of Sleepy Hollow”, where the antagonist, a headless horseman thought to be an American Revolutionary War casualty, rides his horse through a town in search of his head which he lost in battle. The unnamed horseman terrorizes the protagonist, Ichabod Crane, who vanishes mysteriously from town after several visits from the anonymous culprit. The story hinges itself on the conflict between Crane, a superstitious school teacher, and a man by the name of Abraham Van Brunt, who competes with Crane for the love of a farmer’s daughter. Washington Irving, author of the legend, leads the reader to believe that the headless horseman must be Van Brunt, who characterizes a mischievous troublemaker; however, Irving is smart to not offer a clear ending, allowing the tale to be told again and again, with the hope that the legend’s mystery will enthrall all its future audiences the same way it did with its first telling. Ghosts, spirits, haunts. Whatever you want to call them, they’ve always held a place in my heart. It may have started with my mom. Whenever we we traveled to a new town she would always search out a ghost-tour. In a group the tour guide would wind us up and down backstreets, telling us stories we never would have heard otherwise. They would point out the place where the general is sometimes seen pacing, or where the heartbroken girl is heard wailing. Places like Gettysburg and Williamsburg can captivate a child’s imagination and I was no exception. Every city had its own people and its own stories, and I wanted to know more. I wanted to hear the stories of the people who had left their bodies but not the earth. Wherever we went I started to collect ghost story books. I would read them until the cover started to crack and the pages had become worn. It was an interest that seemed to be deep-rooted in me. Maybe it just came from the human curiosity to want to know about the things that are beyond us. These were things that were out of the human grasp, but I wanted to grasp them anyway. And as fall closes in and the air becomes crisp and wraps its cool arms around us, its time to open those ghost stories again. Maybe its the falling leaves or the approaching winter, but fall always rekindles those childhood interests and pleasures. London is filled with impressive statues and monuments to the great figures–and more obscure characters–of British history. Many are easily recognized by both historians and the general public. A magnificent statue of Lord Nelson sits high atop a column over Trafalgar Square, massive Wellington Arch is situated at the end of Buckingham Palace Gardens, the Victoria Monument stands majestically outside Buckingham Palace, a statue of Cromwell is positioned rather ironically before the Houses of Parliament, and a suitably bleak and pale Cenotaph rises in the middle of Whitehall to commemorate the British dead of the First World War. In the middle of the street having the same name as that section of London– Whitehall–stands another impressive statue: an army officer seated on a horse across from the Horse Guards building just south of Trafalgar Square. Thousands of people pass by it every day in cars, buses and on foot without giving this larger-than-life memorial much attention. The lettering on the plinth on the left side reads, “FIELD MARSHAL HIS ROYAL HIGHNESS GEORGE, DUKE OF CAMBRIDGE K.G., G.C.B., &c.,” and on the right side it reads, “COMMANDER-IN-CHIEF OF THE BRITISH ARMY 1856-1895. BORN 1819. DIED 1904.” While the passing of a century has not diminished the statue, the man to whom the statue is dedicated is largely forgotten. This book investigates the important military and political changes that his life and career reflected, and more importantly, it reveals how the crucial relationship between the army, the Crown, and Parliament were affected at a key juncture in British history. This book examines the Duke of Cambridge’s important relationship to the Crown while he served as Commander-in-Chief of the British army from 1856 until the Gladstone Ministry’s end in 1874.3 It places his life and actions in the context of his times. Although it is obviously quite difficult to rehabilitate the legacy of a man who resisted the use of khaki uniforms even in the desert, this book demonstrates that Cambridge was not a two dimensional figure obstinately opposed to any and all types of change. His career intersected an important period of transition for the British military and the monarchy, one that until now has not been sufficiently explored. Historians studying this period have benefited from the tremendous amount of correspondence and government documents contained within the National Army Museum, the Public Records Office, and the British Library, to name but a few of their repositories, as well as the published diaries and correspondence detailing the attitudes and opinions of many of the important political, royal, and military figures of the era. Unfortunately, a great deal of the Duke’s correspondence has remained largely unexplored or at least unreported; this material is essential to a better understanding of the changing nature of the army, the Crown, and Parliament during a crucial period of British history. Thanks to the gracious permission of Her Majesty Queen Elizabeth II and the staff of the Royal Archives, this author had extended access to the Royal Archives at Windsor Castle, wherein a very large amount of the military and private correspondence of the Duke of Cambridge remains well preserved. In the pages that follow, a more complete and accurate understanding of the role of the Duke of Cambridge will be presented and the result will be not only a new understanding of Cambridge, but more importantly, also of Queen Victoria, her ministers, and her government, providing a significantly revised understanding of the relationship between Crown and Parliament, and the army. Duke of Cambridge is today is difficult to tell, but of three things I am certain. Unfortunately, such an explanation is less than satisfactory for a work of serious scholarship. This book will not be a biography of the Duke of Cambridge, for, try as one might, the sad truth is that in many ways, contrary to what his biographer wrote, Cambridge was a rather dull figure and at times even quite absurd. That, however, is not an excuse for ignoring Cambridge’s contributions to the history of the Britain’s army, monarchy and political system. What Cambridge’s biographers failed to do, and what students of the British military and the monarchy have not yet done, is to place his career properly in the context of the changing relationship between the army and the Crown during the reign of Queen Victoria. In the early spring of 1819, Princess Augusta, wife of the seventh and favorite son of King George III, Adolphus, Duke of Cambridge, gave birth to a son, George. At the time, this royal birth was an important event for the monarchy, and therefore Great Britain, because it presented a male grandson as heir to the English throne. Scarcely two months later, however, young Prince George’s opportunity to become king was ended by the royal birth of Princess Victoria on May 24 to infant George’s aunt and uncle, Edward, Duke of Kent and Victoria, Princess of Saxe-Coburg. The significance of these two births lay beyond their timing and their royal nature, for each would go on to head important institutions in Great Britain: the military and the monarchy. If by the end of the reign of Queen Victoria the monarchy had undergone a considerable transformation, it was equally true that by the time George, the Duke of Cambridge, relinquished command, the office of the Commander-in-Chief had also. And while the monarchy survived the passing of both individuals, the office of the Commander-in-Chief did not last long after Cambridge left it. Why this should have been is one of the major themes of this book. Apart from the monarchical and political aspects of the Victorian era, the general topic of the British army of that period has been an unending source of both serious and amateur investigation ever since. Much work has been done on British army administration reform and the development of a school for the professional education of senior officers, the Staff College.13 During the past several decades, historians have also thoroughly investigated the reforms of Viscount Edward Cardwell. Scholars have also addressed in depth the failure of reform after the Crimean War. Interestingly, however, very little effort has been devoted to the most senior ranking uniformed army officer in Great Britain, the Duke of Cambridge, whose career spanned thirty-nine years. Only two serious biographies of Cambridge have been written since his death in 1904. The extant works on Cambridge do little to improve our understanding of either the transformation of the military or the monarchy during this vital period in British history. The concluding paragraph from the most recent work by St. Aubyn demonstrates this point overwhelmingly. If all that can be discovered is that the Duke’s preservation of traditions and customs “was the salvation of the Queen’s Army,” clearly there remains much more to be done in this area. Whereas historians have neglected the life of Cambridge, the most contentious issue of his tenure–the so-called Cardwell reforms–has been thoroughly investigated. The changes implemented under the Secretary of State for War, Edward Cardwell, were intended to modernize the British army. These included abolition of flogging and the purchase of commissions, introduction of significantly shorter enlistments, reform of the War Office, and other important changes. The debate over the Cardwell reforms has been a lively one. Ever since Hampden Gordon called Cardwell the greatest war secretary since the Napoleonic Wars, the historical debate has naturally found him at the center. While Cardwell is generally regarded as the champion of reform, the Commander-in-Chief, the Duke of Cambridge, has been consistently portrayed as his nemesis. Although written over seventy years ago, Gordon’s work characterized the two men in a manner that has persisted to the present day. According to Gordon, in Cardwell, “England had found a great Secretary for War in the clear-sighted and resolute person of the Rt. Hon. Edward Cardwell…this remarkable statesman achieved reforms in the space of five years the importance of which can hardly be overstated.” The image Gordon created of the Duke of Cambridge portrays a man whose “…ideas were extremely conservative. A man ‘to whom a new idea was perdition.’” However, it now seems clear that the Cardwell reforms were not nearly as sweeping as their supporters have argued, and army organization between the Crimean and Boer Wars underwent little effective change. How could it be that the country which spearheaded the Industrial Revolution and became the most successful colonial power the world has ever seen by the end of the 19th century was one of the last European powers to create a modern army? Part of the explanation must lie with Cambridge. Cardwell was new to the scene, whereas Cambridge could in many ways be seen as the physical embodiment of the Crown and the army. Examining the Cardwell reforms without understanding Cambridge is to overlook half of the issue. Although it is quite useful to examine the Duke’s role in reforming the British army, Wolseley’s quotation cited above is revealing; it points out not only that the Duke appeared to be opposed to reform, but also that he was a “Prince.” Even though the military history of the 19th century may very well be an “obsolete” topic, to borrow Hardie’s description, the changed role of the monarchy and its relationship to the military remain, with good reason, vibrant areas of investigation, still factors in British political life to the present day. While the 19th century witnessed a dramatic change in the character and role exercised by the monarchy, the one area of influence to which the Crown held on most fiercely was its relationship to the military. Queen Victoria deeply cherished what she understandably viewed as “her army.” As the cousin to the Queen and former direct heir to the throne, the Duke of Cambridge exercised what authority he did have both by virtue of his position as Commander-in-Chief and the fact of his royal birth. The amount of real power of the former was, in his case, tied directly to the latter. The struggle between Parliament and the Crown for mastery of the army could be traced back to the Glorious Revolution. It was during Cambridge’s tenure that the army witnessed once and for all the final triumph of civilian control. Although Cambridge viewed his primary mission to be one of preserving the “Royal Prerogative”–the Queen’s belief that in many ways the army was her own–and preventing undue civilian interference in the command, discipline, and efficiency of the army, ultimately he was far less successful than he would have liked. Under Cambridge’s leadership, the issues of civilian control and army reform would be tested, sometimes very publicly. Despite his best efforts and even with the Queen’s assistance, Cambridge would not succeed in thwarting major changes in the army’s organization and administration. By the end of the first Gladstone Ministry in 1874 it was clear not only that the matter was settled permanently, but also that the Queen and her cousin understood at long last they had lost. Although Cambridge continued in office for some two decades after the definition of his duties had been resolved at his expense, his importance as a military, political, and even as a royal figure was substantially and permanently diminished. In the end, rather ironically, it would be through the same royal connection that initially assisted his entry into office that Cambridge was finally forced to retire from it. Thus it was that the end of a struggle dating several centuries ultimately came to an end and changed forever the relationship between the military, the monarchy, and Parliament.